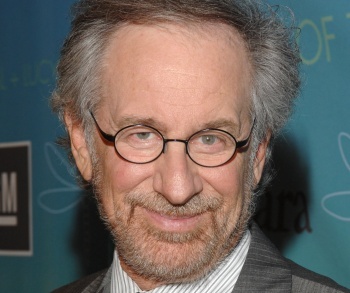 Is Microsoft Nervous About Spielberg and Halo? Steven Spielberg's quest for the Halo movie rights may find itself up against a very large and rather unexpected obstacle: nervous executives at Microsoft. The tale of Halo's ongoing journey to the big screen is a long and twisted one, fraught with pitfalls and essentially at a dead-end since Lord of the Rings man Peter Jackson abandoned the project last summer. Rumors of Spielberg's possible involvement first popped up back in August, when he was reportedly "blown away" by a script based on the events of the Halo prequel novel The Fall of Reach. But while DreamWorks may be anxious to get its hands on the moribund franchise, the rumor is that Microsoft may not be entirely thrilled with the idea. DreamWorks' focus on the game's novels, described by the New York Magazine as "the literary equivalent of Purina Puppy Chow," may seem odd given the involvement of someone of Spielberg's stature, but there's a method to the madness. Universal Pictures has already blown $12 million on screenwriting and producing fees, and should its legal department come calling to recoup that money, DreamWorks can claim it is working on an entirely different Halo project. But perhaps even more importantly, sticking to the books rather than opting for an original script demonstrates a commitment to the canon that could help keep Microsoft happy. Despite the fact that Microsoft executives have publicly supported the film project, one source claims the company would rather see things left well enough alone. "It's a gigantic waste of time, because [Microsoft] doesn't want anything to happen in any other media that could screw up a multi-billion dollar franchise," the source said. "Somebody has to be in control of a movie; it's a director's medium. But they're completely averse to that. Because if Steven Spielberg fucks it up, what's your recourse? So the rule is, 'First, do no harm.'" It may sound ludicrous at first blush, but think about it: What happens if the videogame movie curse holds true and Spielberg drops the ball? It's not like you can run out and get some higher-priced talent to clean up the mess. And while videogames are far more front-and-center in the mainstream consciousness now than they were a decade ago, a bad film could still sour the taste of the franchise for the public at large. Is it just a coincidence that the Wing Commander series died with the Wing Commander movie? The initial excitement over the film project has had a half-decade to cool down and with things humming along nicely - Reach brought in more money in one day that most major motion pictures do in their entire theatrical run - Microsoft might be thinking that the best Halo movie is the one that never gets made.